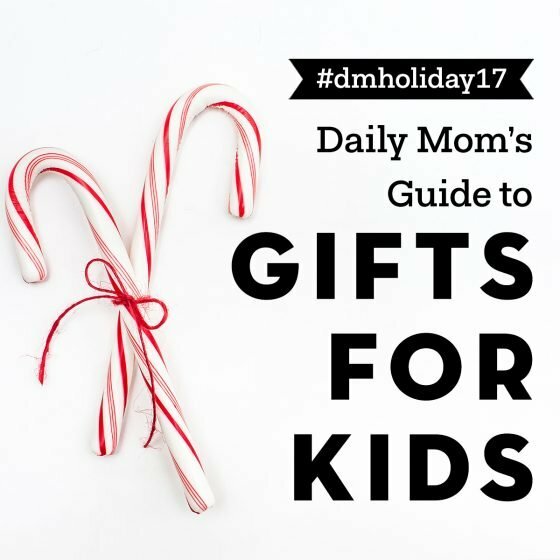 Does it seem like your kids have everything already, and you’re completely stumped on what to buy them this holiday season? Of course, you know we have you covered! 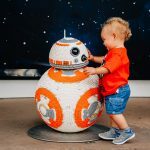 These are all of our favorite gifts for children – unique items that your child will love – from the fun to the practical to everything in between. 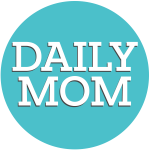 These are our Daily Mom top gifts for kids! 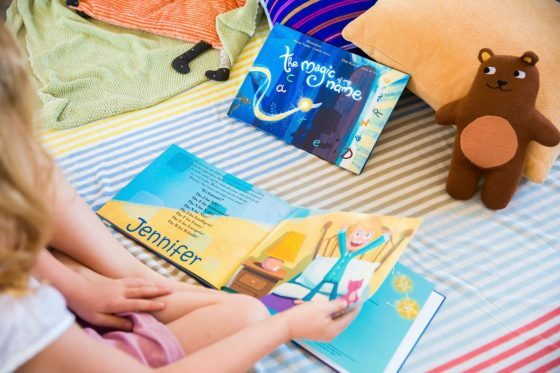 Whether hanging out with the littles at a movie night in the park or reading stories in front of the fire sipping hot chocolate, the new LilyPad2 Playmat is a must this holiday season. 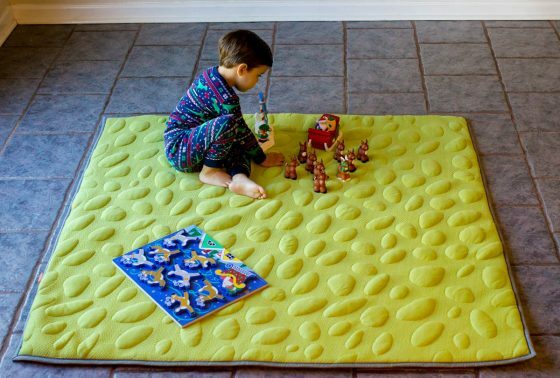 Bigger and better than ever this soft, comfy playmat now has room for the entire family! 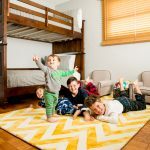 Perfect for keeping kids cozy and safe indoors, outdoors and on both hard of soft surfaces, the LilyPad2 is great for homes with tile or hardwood flooring especially during the cold, winter months. 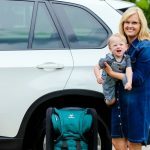 Machine washable and easy to transport in the accompanying sleek, secure backpack, the LilyPad 2 is also a clean and portable travel solution to all your baby’s tummy time needs. 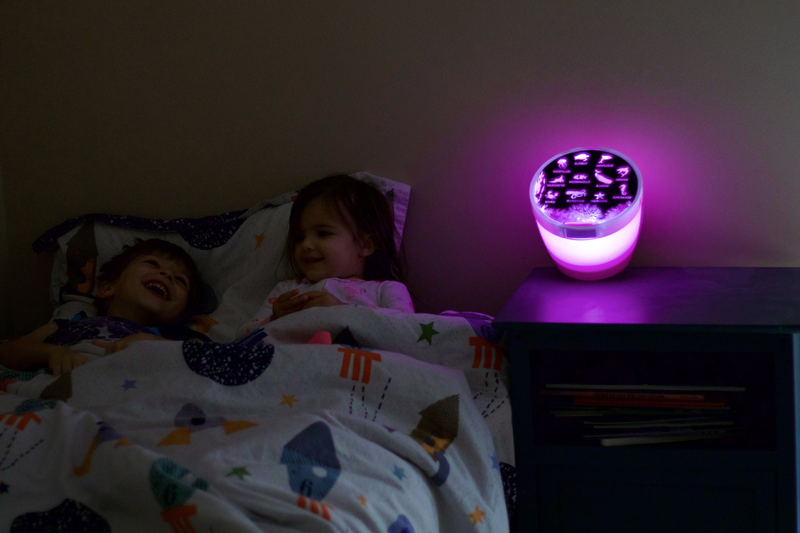 With holiday travel to family and friends right around the corner, the LilyPad 2 provides parents with peace of mind this season so they don’t have to worry about letting baby play on unsafe or unclean carpets and other surfaces. Featuring 21+ feet of surface space, the LilyPad 2 is just what your growing family, or quickly developing infant needs. Covered with Nook’s super-soft, breathable, organic, eco-friendly Pebble fabric the LilyPad 2 is also liquid and stain resistant. 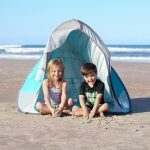 Bringing families together and allowing kids to be kids whether having a picnic at the beach or laying on the lawn staring at the stars, the LilyPad 2 creates a beautiful, colorful place to play or lay wherever you go. 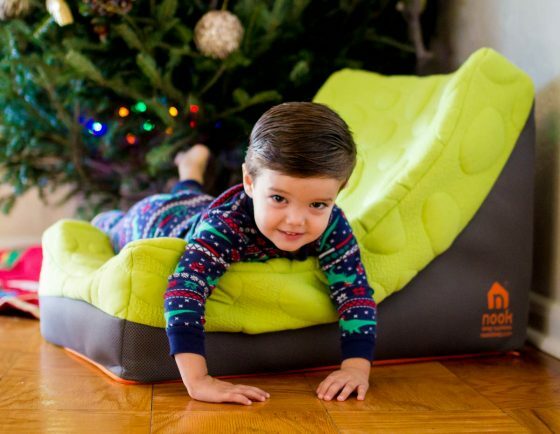 For the toddler or older child in your family, the softest, most comfortable gift this holiday season is the Nook Pebble Lounger. Whether you are trying to encourage your child to read or simply giving him a safe space to curl up and relax, this sleek and modern lounger is ideal for story time, movie night, and everything in between. 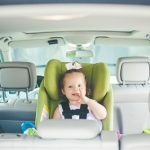 Safe, non-toxic, and available in a variety of beautiful, bright colors your child will literally never want to leave this seat. 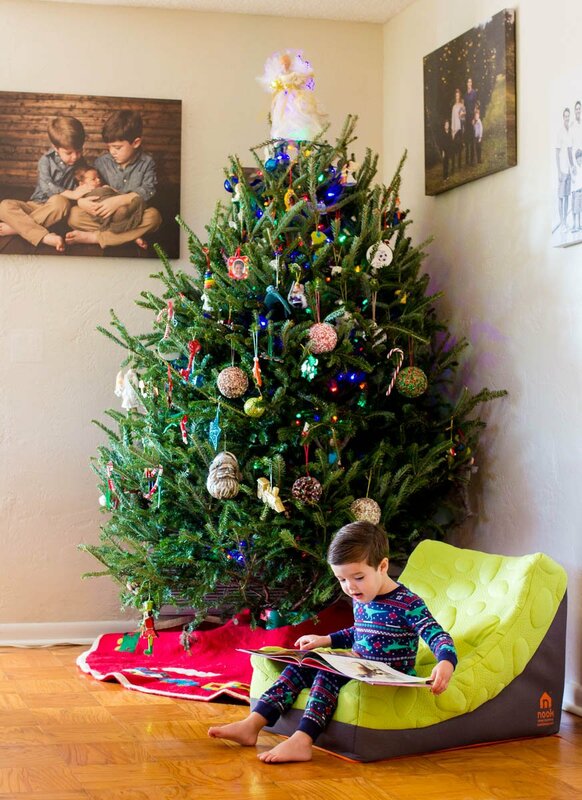 Trendy enough to be kept in the living room, or perfect next to the bookshelf in the playroom the Nook Pebble Lounger is the ultimate in alternative and enjoyable seating for kids. The Nook Pebble Lounger is made with the safest CertiPUR-US foam core and is non-toxic and breathable making this supple, cushiony chair ideal for young children. Covered with the softest, organic cotton Pebble fabric, the Lounger is also stain and liquid resistant with a machine washable cover allowing for easy clean-up of spills. Guaranteed to please the child(ren) in your life this holiday give them the gift of of a safe, comfortable, colorful space of their own. 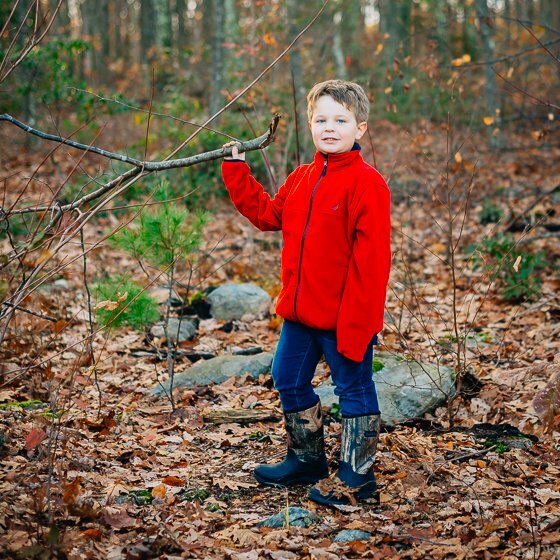 It’s no secret that we’ve been huge fans of Kamik winter boots for children, and this year’s new styles definitely do not disappoint. 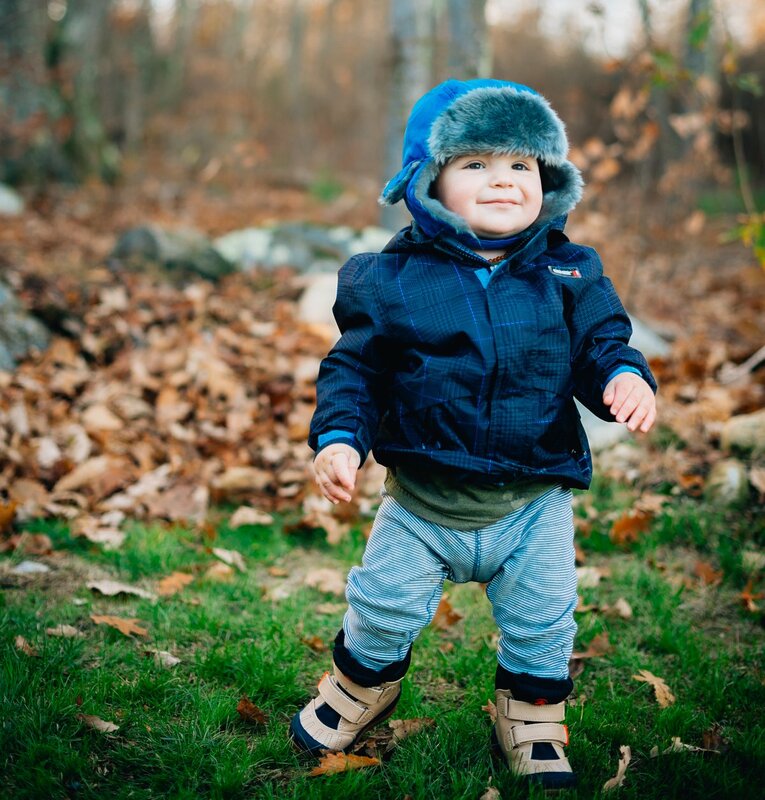 From newly walking toddlers to preschoolers, to big kids, Kamik has your family covered with the warmest – and waterproof – winter boots that will keep tiny toes cozy all season long. The Parker boot is fashionable – and more importantly, easy to put on – twist on the classic tan & black boot. These boots are 100% waterproof, yet still allow feet to breathe, and keeps those toes toasty, down to -25 degrees. 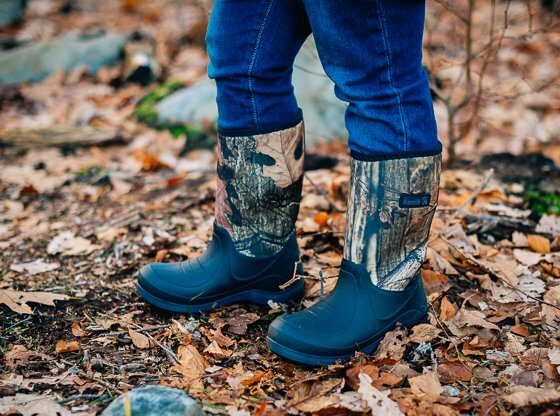 Your older kids will love Kamik’s Bluster (shown here in purple) and Bluster2 (shown here in camo) boots, which are meant to be worn in the fall, winter, or spring – so versatile. Both are entirely waterproof and made with Kamik’s own RubberHE bottoms – a super-light rubber that won’t weigh them down when splashing in puddles and playing in the snow. 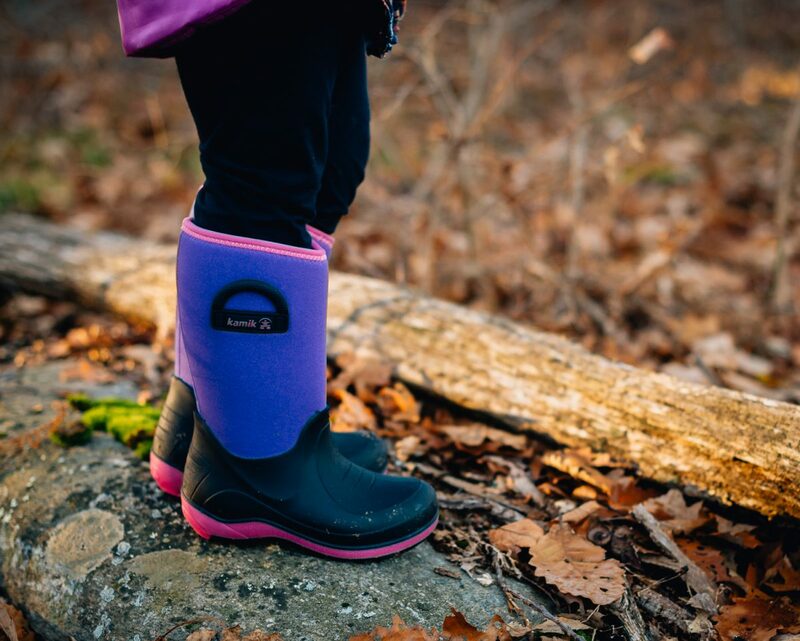 Side handles make these boots incredibly easy for kids to put on themselves, and they provide warmth and protection through -22 degrees. 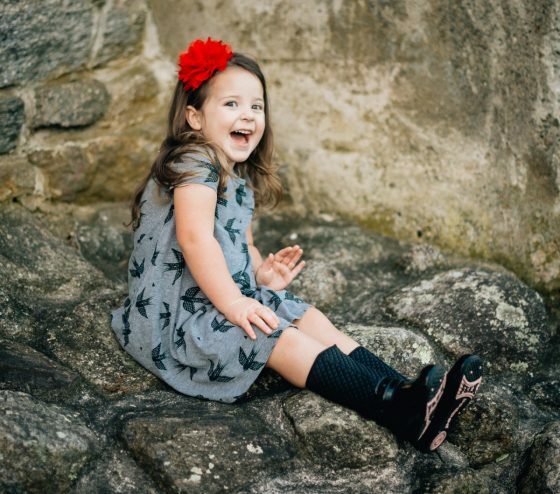 Pediped shoes are a fan favorite of ours for the holidays – or any season, really – because they are so comfortable for kids to wear and play in, easy to put on, and are fashionable. 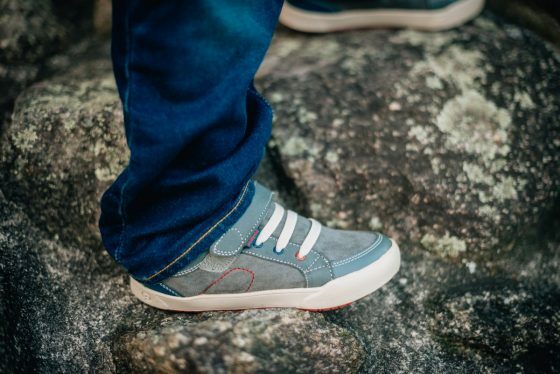 These shoes are meant to last long and grow with your child. They each have Pediped’s own FlexFit system, which allows you to adjust the fit of the show as your child’s foot gets bigger. 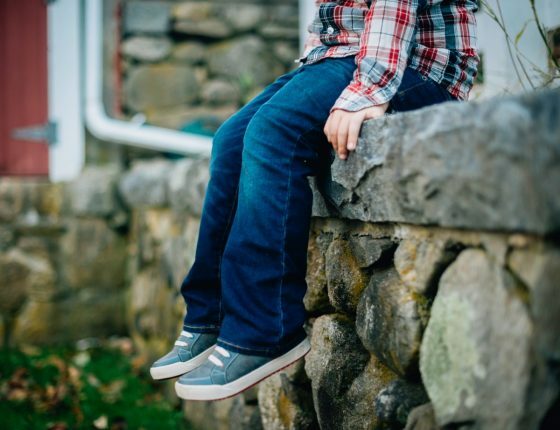 When you buy from Pediped, you can rest easy knowing your child’s shoes are approved by the American Podiatric Medical Association for promoting healthy foot development. 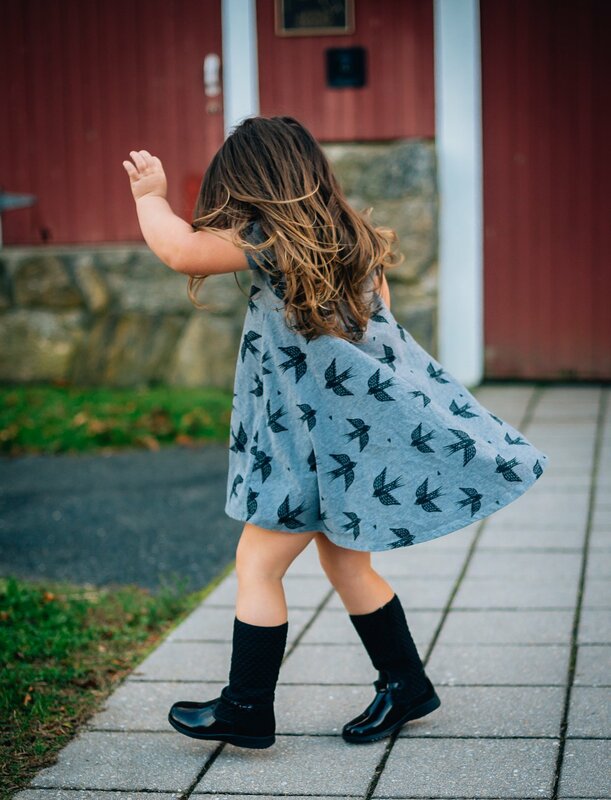 The Naomi boot is a dream come true for little girls. She will look adorable in leggings, dresses, or skirts, all while still being able to run and jump and climb wherever she pleases. The quilted upper and patent leather bottom are on-trend this holiday season, and the rubber soles will allow her to freely play and keep up with all the kids on the playground. And Pediped’s Dani sneaker is ideal for your child who loves to add a little bit of a funky twist on his holiday best. 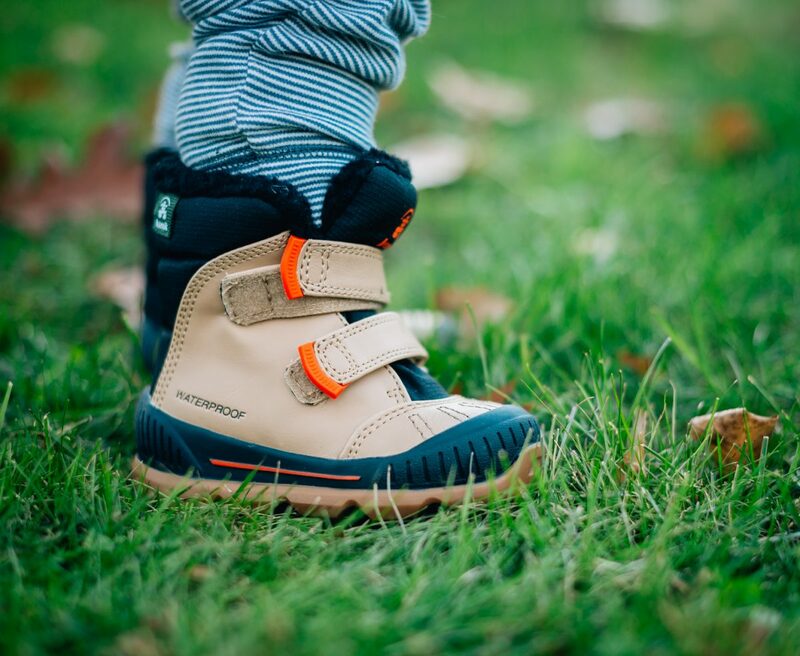 The grippy rubber sole means he can have a little extra traction in the winter season, and the elastic laces and velcro tab means he can put these shoes on all by himself. 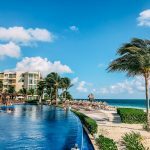 Now that’s a happy holiday! 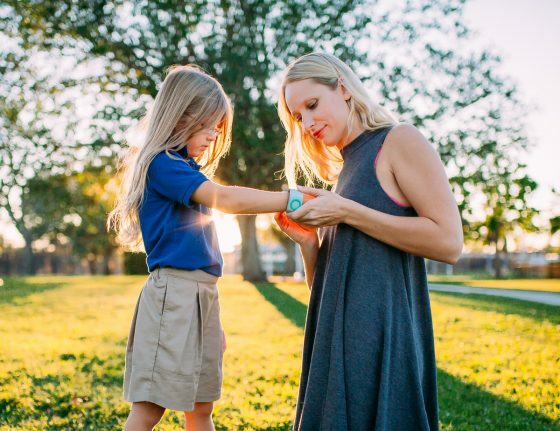 Tinitell is your childs first phone! 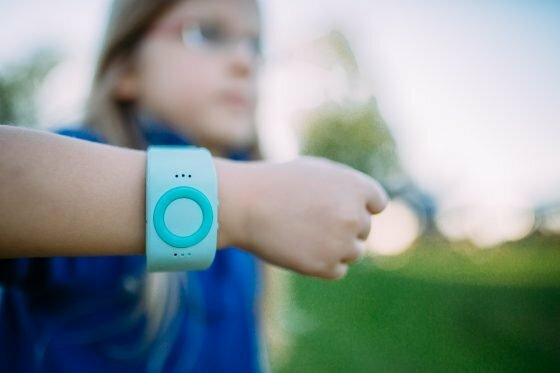 You do not need to get a complicated smartphone for your elementary age child. Thats not practical or safe. 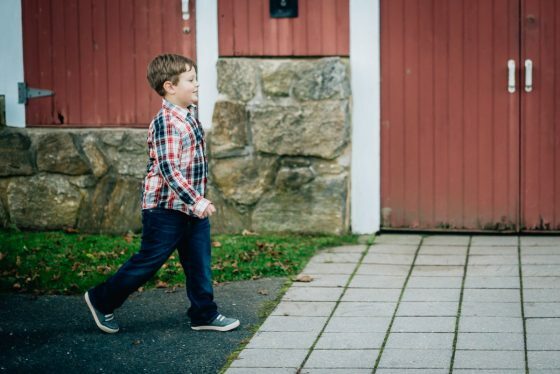 Tinitell is the ideal solution for parents who need to stay connected with a child when they are away from home. 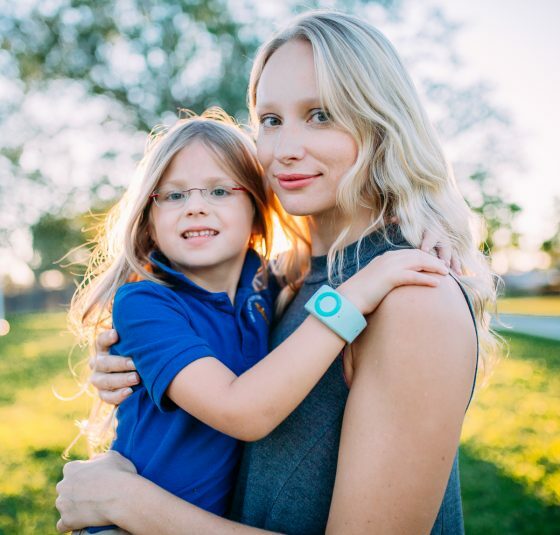 This phone is worn like a watch and its brilliant design makes it simple for your child to make or receive only necessary phone calls. Your child can call and receive calls from only the contacts you program in using their app on your smartphone phone. We love that there is no screen to break or apps to distract your child. 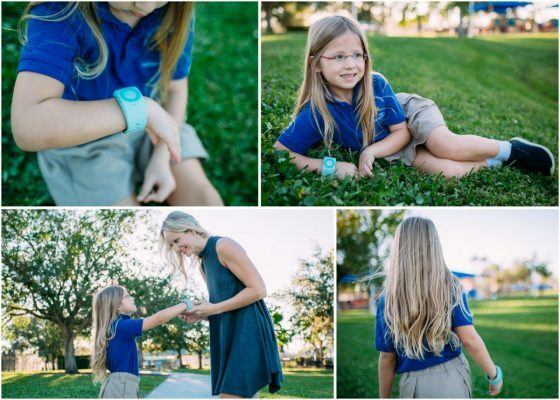 Anything with a screen is likely banned from your childs school but that is not an issue with Tinitell. It looks like a watch and functions with just one button. 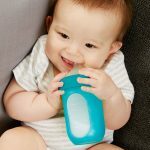 Young children can operate Tinitell with no problem. 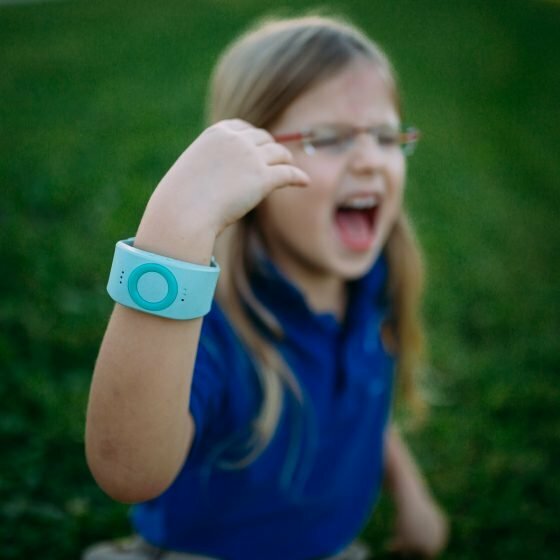 With the app, the parent can also track the childs whereabouts thanks to the GPS capabilities. Tinitell uses a reasonably priced cell service called Ting. Tells the time and makes and receives calls. Safety ensure through the Tinitell app. Durable, resists dirt, wear and tear. If you’re looking for a way to inspire laughter, good times and fond memories, giving the gift of board games is a great way to go. 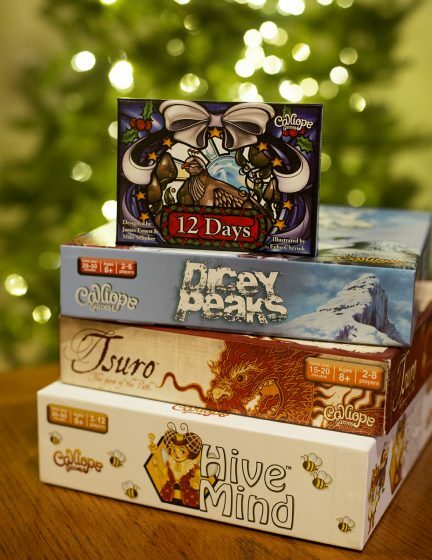 Calliope Games is an award-winning game publisher of some favorite casual family tabletop games! 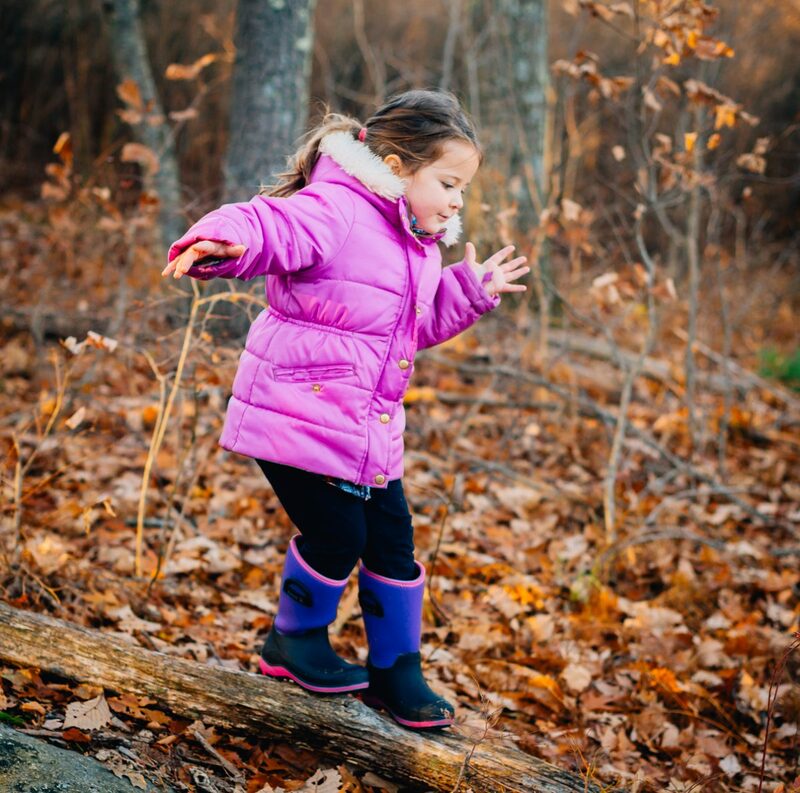 Each game is carefully balanced so that kids and adults can play on equal footing. Most can be played in 60 minutes or less, and are designed for 2 – 8 players. 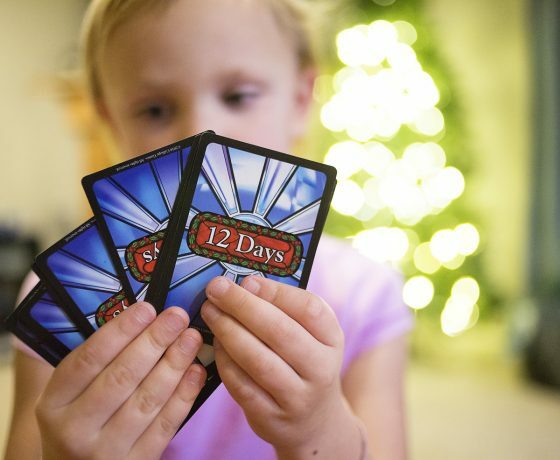 12 Days is a card game that celebrates the gift of giving and the spirit of Christmas! 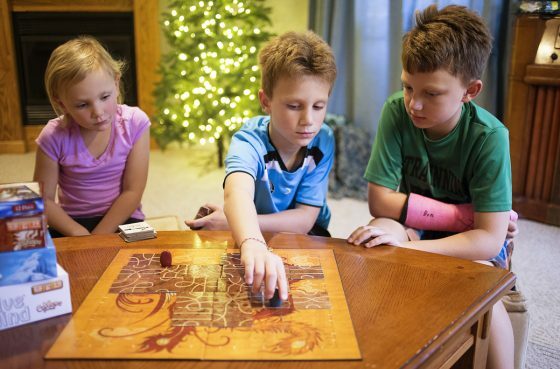 Games like Dicey Peaks, Tsuro and Hive mind are fantastic games to gift to a family or a set of siblings. How many times a day do you tell your child to turn down the dang electronics volume? For us, it seems like eleventy billion times a day. 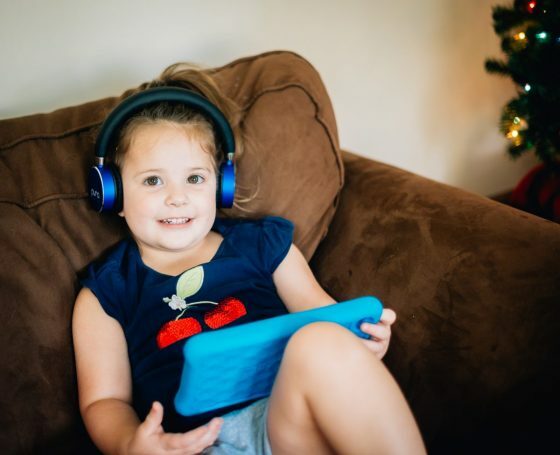 We have been in the market for some kid-friendly headphones, but couldn’t get past the worry that our Daily Kids would jack up the volume so much that they’d damage their little ears. 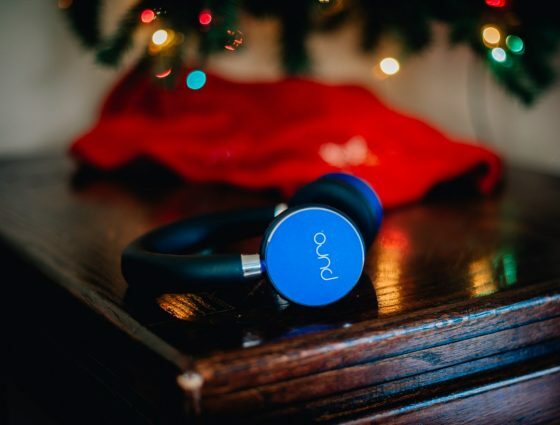 So when we found these headphones from Puro Sound Labs, we were over the moon. These headphones were designed with kids in mind. 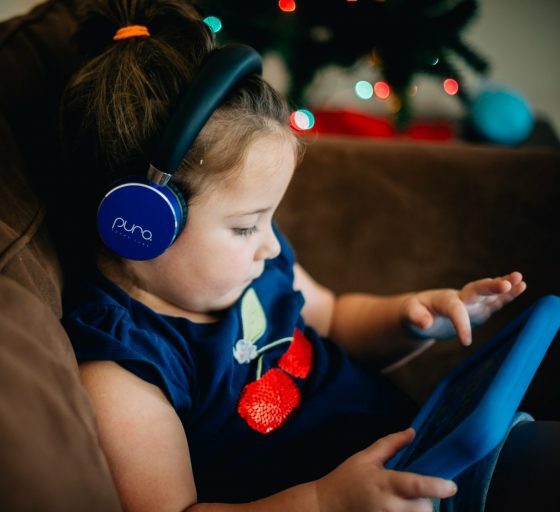 Any volume over 85 decibels has been known to damage hearing, and that’s precisely why Puro headphones don’t go over that limit. And the even better part is that these headphones are so smartly designed and so high-tech, your child won’t need to jack up the volume anyway. Why? Because they’re equipped with Puro Balanced Response, which means they run on a frequency curve designed to closely mimic in-room speaker response, and equally balanced bass, vocal, and highs, to deliver clear sound without excessive volume. They also have 82% ambient noise isolation, meaning they provide clear sound at non-excessive volume, even in loud environments. The padded headband and ear pieces are uber-squishy and comfortable, and – best part – they’re completely wireless! Each charge provides 18 hours of listening, or 200 hours of standby time. Create an adventure that will last a lifetime. 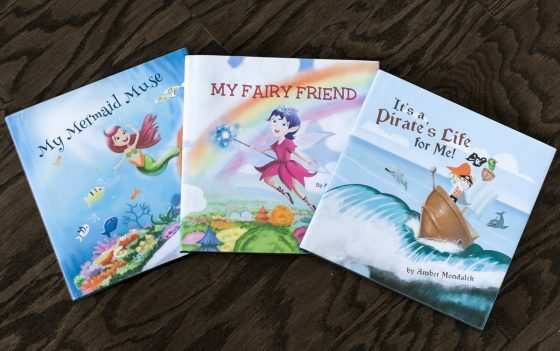 From pirates to Fairies and mermaids, Storymakery has the perfect personalized book for that special child in your life. Simply follow a few steps and you will quickly and easily be able to give a gift that will truly brighten their eyes. Select between a Pirate, Fairy or Mermaid, the type of cover, add an author name, the child’s name and a dedication and you're done. Within a few clicks, you can preview and have it printed and ready to give. 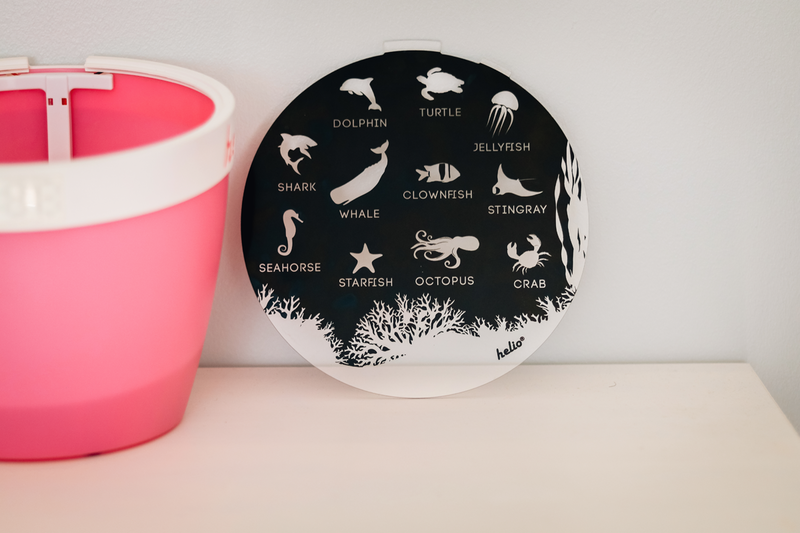 Beginning readers, toddlers and babies alike will love reading through the brightly colored pages. Their imaginations will run wild as they read their name written in these adventures. Books are the perfect gift that you can guarantee they will cherish forever. 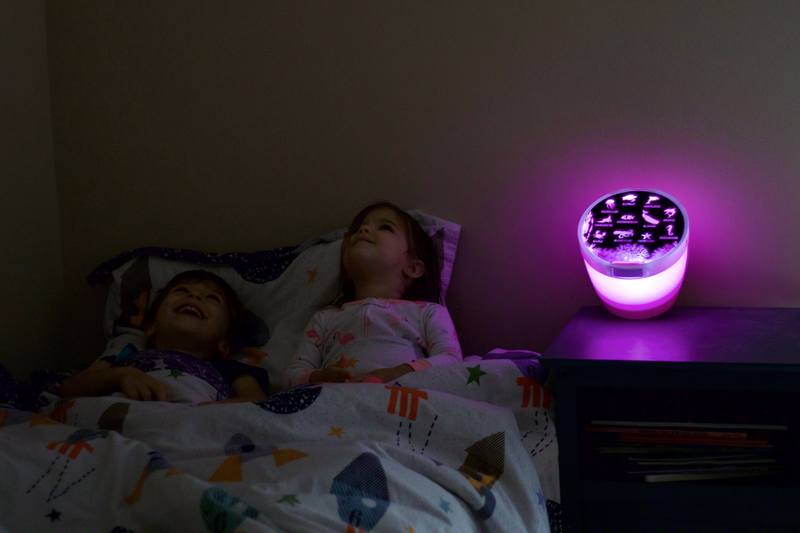 The Helio Projector will not only have kiddos excited for bedtime, but will help them expand their knowledge in a unique, new way. 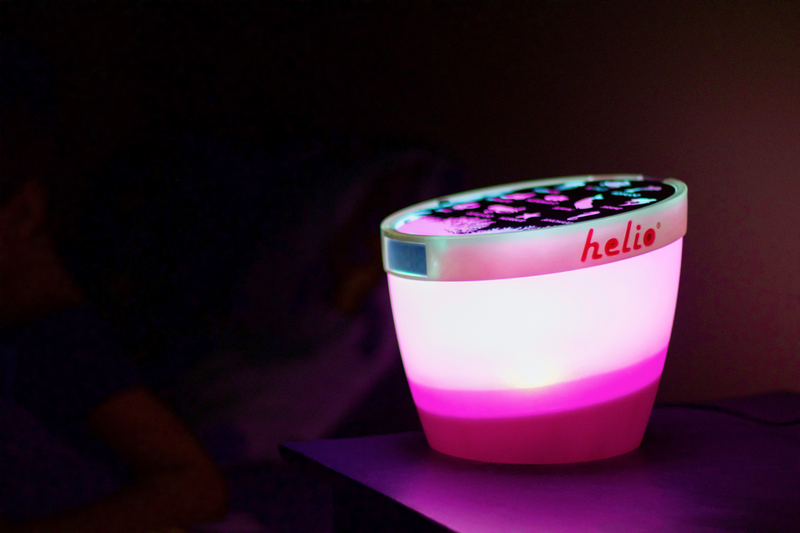 In addition to bedtime use, Helio can also be utilized to play games, study, and have interactive family fun. 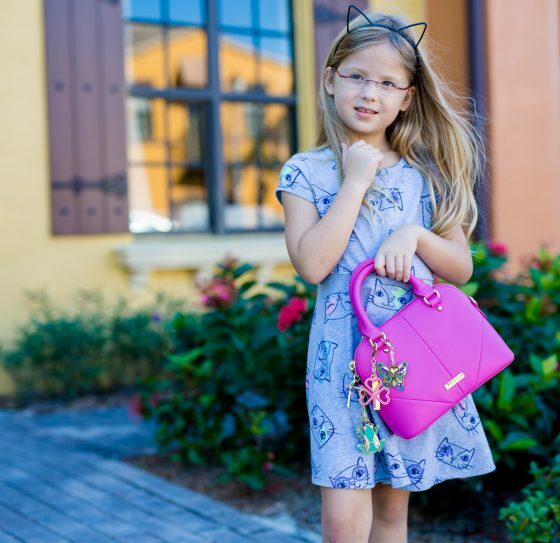 The Atwell purse from K Brooke is so gorgeous that mom will want to carry it, but is designed for girls and teenagers to carry. 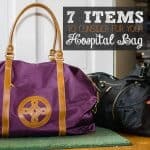 What girl doesnt want a designer bag? 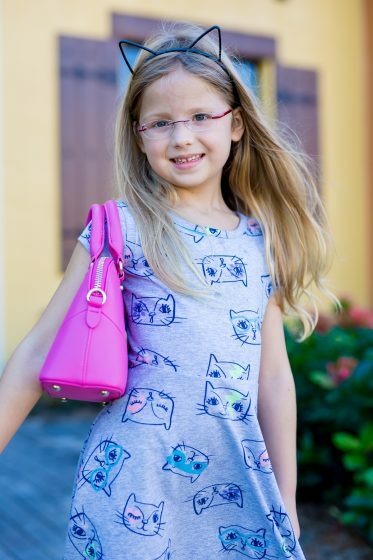 K Brooke makes bags for girls that are just as fabulous as the bags carried by their moms! 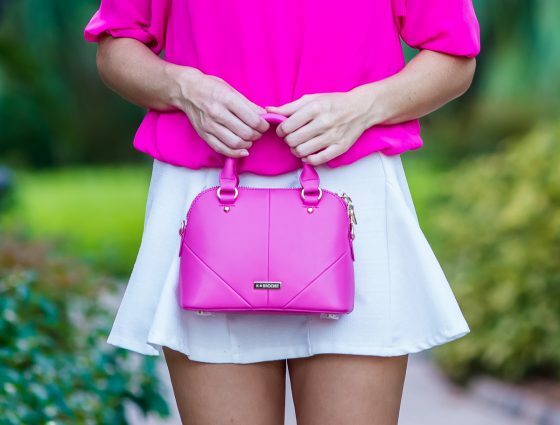 This bag is a lovely bright pink. Made of 100% cowhide leather, this bag feels amazing and will last a long time. 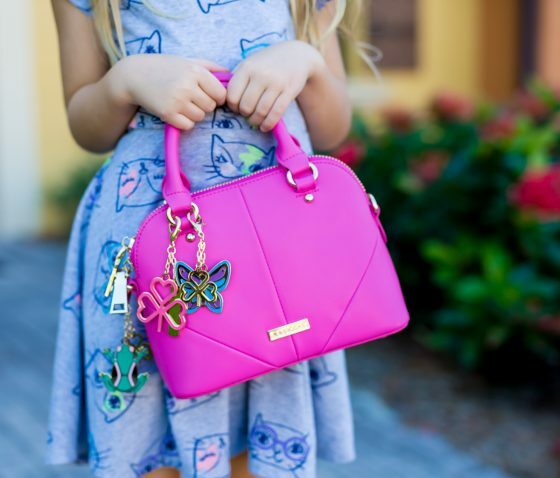 We think surprising your daughter with her first real handbag is such an amazing idea for the holidays! The Atwell zips on the top so her items wont spill out. There are top handles and an adjustable crossbody strap so this bag can be worn by toddlers up to teens. (Moms, you may want to borrow it as well!). There is one interior pocket and room for anything a girl would want to carry for a day shopping! Personalize the Atwell with some of the whimsical charms from K Brooke. 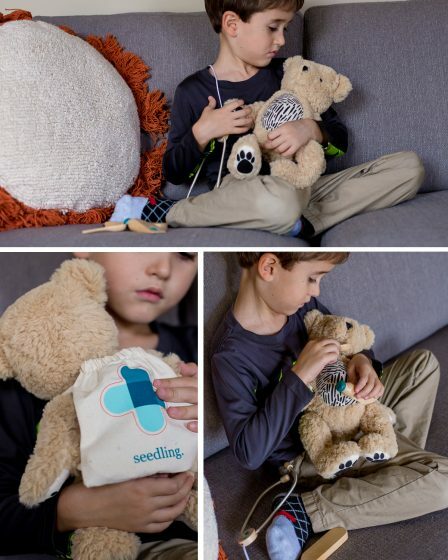 Children who love playing doctor or snuggling with bears will love the Parker: Augmented Teddy Bear. This award wining bear will capture the heart of your little one. Parker is a classic take on a teddy bear with a unique augmented reality twist. No worries about keeping up with batteries or connecting to WiFi, Parker can be enjoyed, with or without any mobile device. Kids will love how cuddly Parker is and will instantly start to comfort him and take care of him. 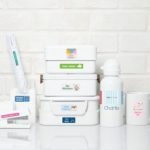 Watch your child develop problem-solving skills as they learn how to cure fevers, examine bones, and soothe a scratchy throat, do checkups with the stethoscope, check his temperature with the versatile thermometer that is also a soft tip stylus. and check Parker’s bones with the x-ray panel. 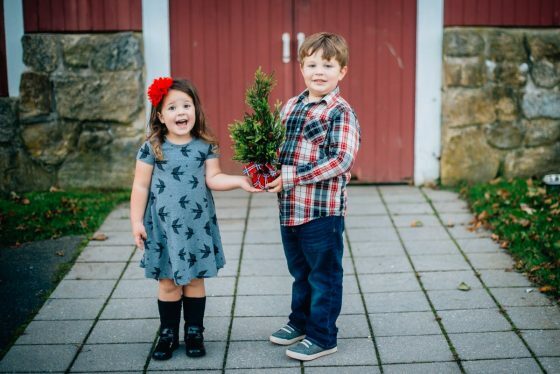 This gift is sure to bring smiles to any child and will be the perfect gift under the tree. 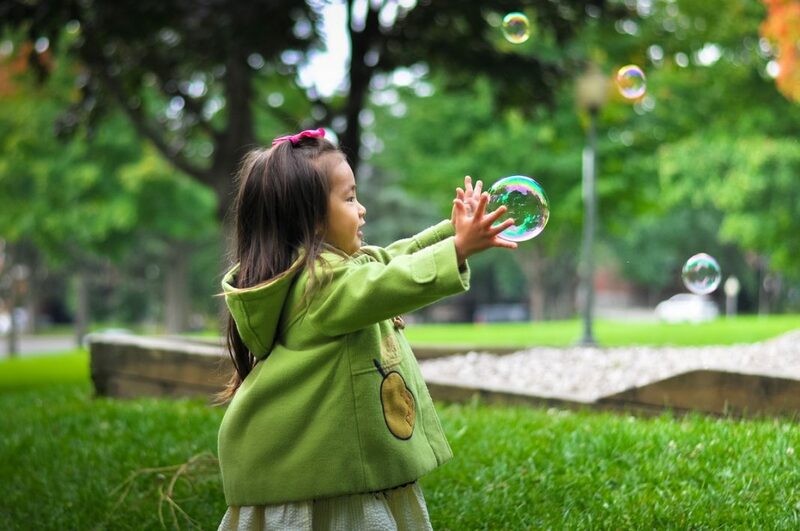 Promotes creative confidence, problem-solving skills, creative and imaginative play. 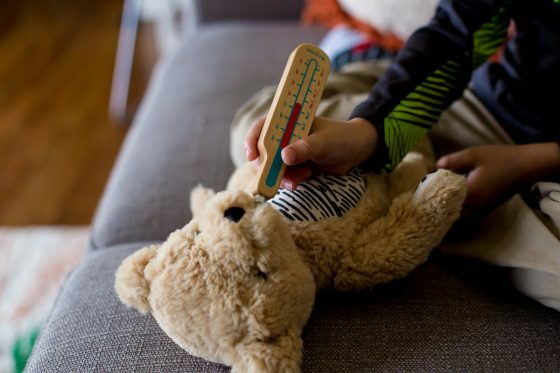 Included with the bear are a wooden medicine and spoon, thermometer and stethoscope. A felt backed x-ray panel and small backpack to store everything in. 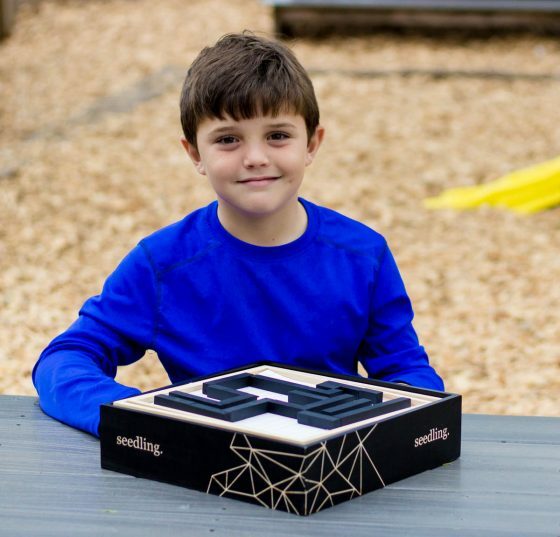 This holiday season education, creativity, and technology combine in this interactive, DIY Marble Maze from Seedling. 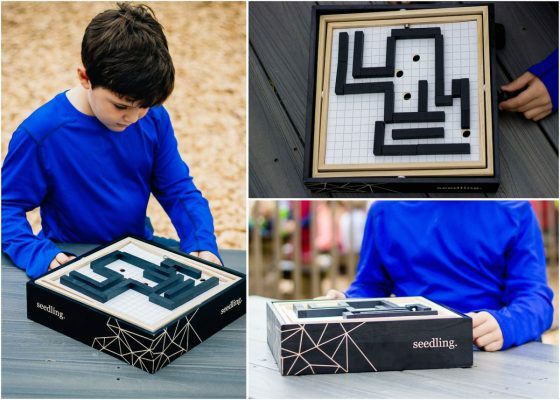 Perfect for your developing genius, any child who loves STEM, mazes, craft projects or design and architecture will love sitting down to hours of engagement with this interactive toy where they get to “input” their own ideas. With multiple grid-paper maze cards and 3D blocks your child can use trial and error to design his or her own adventure, making it more or less difficult to navigate the marble through the maze from start to finish. 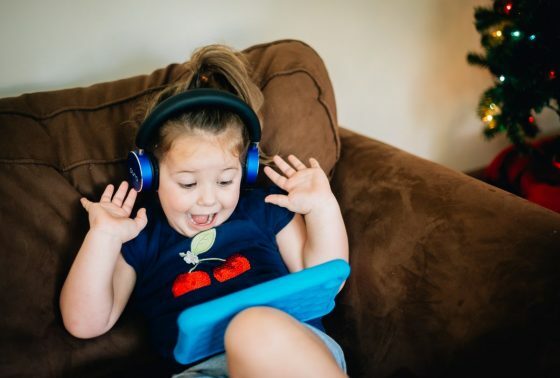 Including a downloadable maze app, your child can also take their play online to challenge others and connect with family and friends on a smartphone or tablet. 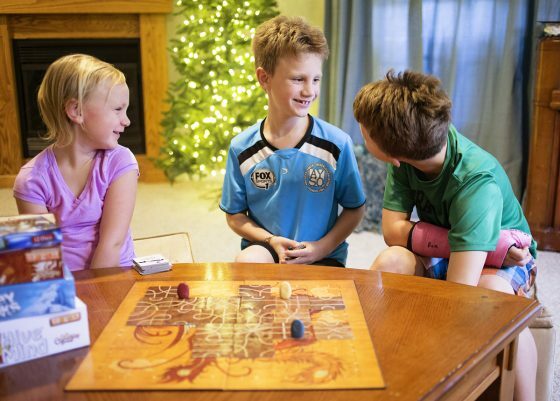 Kit includes a durable, wooden maze game board. 45 3D blocks for designing the walls of the maze. 5 reusable paper grid cards giving the ability to create multiple maze challenges. 3 marbles and double-sided maze wall stickers allowing the player to redesign their maze walls throughout play. 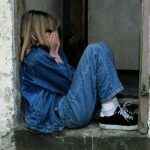 Every child wants to feel special and unique. 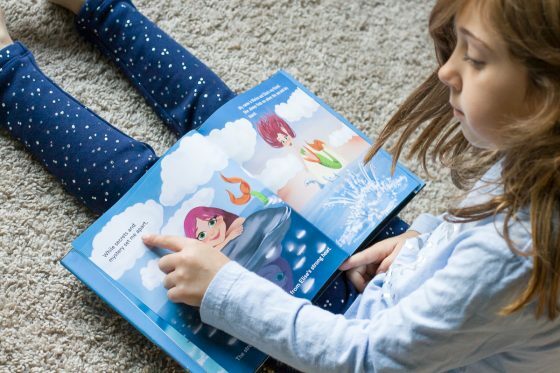 “The Magic of My Name” is a customizable story book that will take your child on a journey to discover the magic behind their own name. 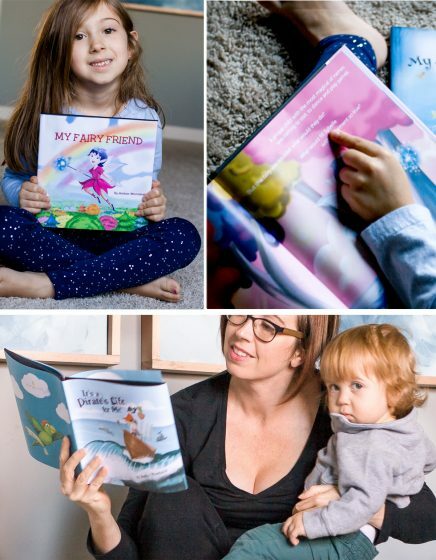 The book begins with your child falling into a deep sleep, and being awoken by a magical fairy who leads him on the journey to discover the magic of his name. They travel together, in his dream, through land and sea, meeting fun and memorable characters along the way. They discover, though animated conversations with each character, then each letter in his name represents a special characteristic he possesses. This book goes on a different journey with each child, making it truly unique.